In a complete break from tradition, England embarked on their European tour of 1973 in a new lightweight aertex kit of yellow shirts, blue shorts and yellow socks. Of the three opponents that they wore yellow against on the tour, only Poland presented a colour clash with England’s normal white shirts. 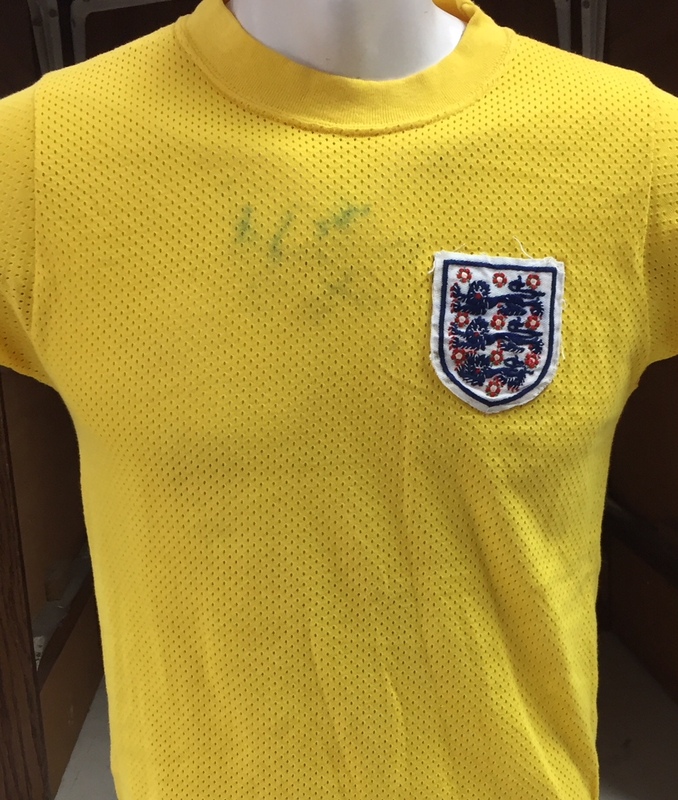 For the other game of the four-match tour, in Moscow, England wore the aertex white shirts last seen against Brazil in the Mexico World Cup of 1970. Both the full and Under-23 teams were wearing aertex shirts during this period, but England have never worn yellow shirts since. It was not a successful tour, with the result in Poland proving to be particularly damaging to England's chances of qualifying for the following year's World Cup in Germany. Perhaps, yellow was a step too far for the traditionalists at the Football Association. Twelve months later, as Umbro were about to be replaced as England's kit suppliers, they had reverted back to a red aertex change shirt.